Wreaths can be shipped via all major shipping companies and the U.S. post office but before they’re shipped, they must be packaged well. 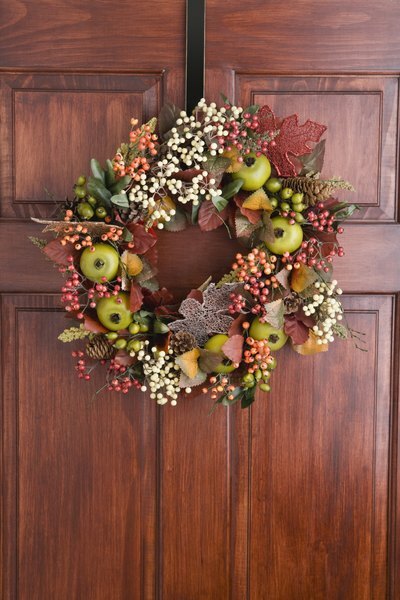 Whether you're shipping fresh wreaths or fake wreaths, the shipping process is the same. Companies generally ship wreaths in custom wreath boxes, and wreaths are secured to the boxes with twist ties to prevent movement. While the public can purchase custom wreath shipping boxes from online retailers such as Amazon, there’s really no need. A wreath can be safely shipped inside two boxes. The first box should be slightly larger than the measurement of the wreath's diameter or width. Measure both the depth and width of the wreath before selecting a box to make sure it fits. Wrap the wreath in tissue paper and carefully place it inside the box. Add packing peanuts around the empty areas of the box to prevent movement during shipping. Place the box inside a slightly larger box to protect it during transit. If there are gaps between the larger and smaller boxes, fill those with tissue paper, packing peanuts or newspaper until the boxes no longer move against each other.